This is a new series that I am trying to cover called Intermission. What I aim to cover are lesser know trivia details of already well-documented series within video games franchises that cover localized or any budget titles that the internet does not cover as often. Now this series is not going to be as posted frequently since many differences in video games from countries of America and Japan could easily remain cosmetic that doesn’t affect the gameplay, leading to a longer span of the obscurity of these versions. Bubsy is an “interesting” character. Ever since the conception by Micheal Berlyn of Accolade, the character has been a laughing stock with many of his games being labeled in many lists of top ten worst lists and have been relegated as a meme of bad video games franchises. That is until recently for some reason, Bubsy got a new game in 2017’s Bubsy: The Woolies Strikes Back. Supposedly, the trademark of Accolade was acquired by a Chinese company, which then revitalized their IP including Bubsy after the company defunct in 2000. Even when the game was announced, the official Sonic the Hedgehog Twitter page mocked the comeback of the character so heavily scorn nowadays. With the approaching release of Bubsy: Paws of Fire! nearing the date of May 2019 by the developer behind the Bit.Corp series, I figured it’s time to see what else the Bubsy franchise offers that haven’t been covered by the mass media. Now, I saw how well the Bubsy series was covered in many gaming publications and independent review shows on YouTube that covers the full impact, which the series gave to really anyone. I mean, just mentioning Bubsy 3D alone can induce an amount of heavy post-traumatic stress disorder to anyone that has to go through some horrid level designs and awful controls with stiff tank control in order to do basic maneuver of jumping or turning to the proper direction of the pathway. The boss required many trial and errors that led to many frustrations with little rhyme or reasons, the unfair difficulty curve when trying to land on enemies leading to many mistakes on platforms and the annoying jokes sprouted by Bubsy are common complaints that I often hear online. Bubsy in Claws Encounters of the Furred Kind (Yamaneko Bubsy no Daibōken in Japan for Super Famicom) was released on Super Nintendo with and Sega Genesis back in 1993 developed and published by Accolade, where mascot platforms were the dominant style of platforms. A sequel was released titled Bubsy 2 ( romanticized as “II”) for Super Nintendo, Sega Genesis, and Game Boy release. What followed was the panned Atari Jaguar game and of course, the killer of the series, Bubsy 3D for PlayStation that stalled Bubsy into eternity, until the re-release of Bubsy Two-Fur on Steam in 2015. Micheal Berlyn even spoke of disdain for seeing the improvement of the E3 showing of Super Mario 64 compared to Eidetic’s effort on their part. At least the company behind that game would later go on to make the Syphon Filter series and more recently Days Gone for PlayStation 4 published by Sony in the next few weeks. Funnily enough, the game garnered critical acclaim by several critics when the originally released, who deemed the game as a worthy successor to Sonic. Granted, Bubsy followed the mass of trying to stand out from the rest of the competition with following the cool attitude trend of the 1990s. In fact, one of the magazines that previewed the game, GameFan gave the award of “Best New Character Award” to Bubsy in 1993. In fact, another gaming site, GamePro thought the game was so highly deserving of a near perfect five out five in each category that both Accolade and GamePro set up a lottery of $500 cash bonus and a meet up with the developers of the games if anyone set a name and address on a name card. Even though the game was highly despised by many peoples to this very day, that didn’t stop those that can overlook some of the flaws and enjoy the game for what ambitious the platform was going for. Perhaps this might be in part due to the level design or some plain old nostalgia, I’m sure the game certainly has fans that can appreciate the game for what it’s worth. Maybe, I am just over thinking this, but I certainly feel that the game has a solid foundation underneath the problems of one-hit collision if some elements could have been fixed. That was certainly the mind of the people running the company, Telstar that surprisingly released a compilation of Bubsy and Sonic the Hedgehog 2 bundle as a two-in-one game for the Sega Genesis in 1995 for Europe market exclusively. What is it that makes this bundle of this game special? Well, not much really. This is just a bundle game package of two games that at one point was well deserving of the status. Bubsy becomes gaming’s punching bag in regards to his games, while Sonic 2 is regarded by many as an all-time classic. If the Bubsy game hasn’t sold you on the games, then I honestly doubt that this compilation is worth for that game, except for Sonic 2. I don’t really know if there are any differences in how the game plays since this is probably one of those compilations that were common on the Sega Genesis with Sonic and Knuckles for example. I’m not sure why Telstar that packaging Bubsy when the series started the decline after negative and mixed reviews poured in Bubsy in Fractured Furry Tales for Atari Jaguar. Wait…what? Was there actually another Bubsy game released for PC in 1997 that many completely overlooked for a franchise heavily despised as a maligned mascot that was churned out by Accolade in an era where platforms games with the mascot. As it turns out there, there was indeed another version Bubsy game released when Bubsy 3D destroyed the reputation of the series for 21 more years. Also for some reason, the European version describes Bubsy as a cat rather than a species of a bobcat in the German version in the back of the box. In reality, this is the European version localized by a company named WG Verlag & Lizenzen AG released in Switzerland that apparently specialized into basic IT website designs and marketing products for Europe. It also seems from one of their work pages, they seem to promise to collaborate on some of the most important business that was a sponsor from the likes of magazines and even search engine optimizations for businesses. Since all of this was in German, I kinda had to use Google Translate to figure out if this company even mentioned Bubsy on their portfolio and it does seem unlikely seemingly considering that the company’s main goal is centered around the retail advertisement. This version is very much similar to Super Bubsy for PC, which essentially was an enhanced port of the original game with enhanced music, added voice acting at the beginning of the stage and a more colorful palette to the background owing to the increased hardware software. Alongside the game was a pilot cartoon that was supposed to go on air later the year, but was canceled after one episode. One interesting note that wasn’t found on the Super Bubsy was that there was an eCatalog of gamesmanship that the company was going to publish for Windows. Considering that Accolade made a lot of games other than the infamous Bubsy games, it was possible that this included an advertisement to perhaps preorder games available for the system. Yes, one of the games that were going to be released for Window included a port of Bubsy 3D. The other games included the likes of other Accolade games such as Jack Nicklaus and Pitfall, which were also planned for development for Windows. I presumed the reason of that version was canned was probably the commercial failure of Bubsy 3D releasing at the height to those of Super Mario 64 and Crash Bandicoot, which left the company to canned these projects early, if any of the aforementioned games were ever in development at all. Also within the games are files that have data on the development of the game that is contained within each file. Currently, there are no official stock available for the game on Amazon and I’m not aware if there is another website to download the game. It’s too bad Bubsy had a myriad of problems that were occurring in his game from reaching the potential it could have been, had there been not as much fraught and riddle with issues between staffs of Accolade publishing the title and the relationship with Micheal Berlyn not working with the second game. Who knows if the series will one day get the respect it deserves considering that the character will live in infamy forever with some of his latest misfires? Obscure games are one of the most rewarding hobbies that I spent time on the internet uncovering lost footage or screen captures from an era where archiving video games can be an extraordinarily difficult task to achieve where it seems physical media are dying out at a rapid pace, which makes preserving video games a momentum tasks to accomplish. This is concerning considering Nintendo’s extremely strict policies of using ROMS hosted by third-party websites with emulation that force websites to remove all causes of Nintendo related properties to avoid lawsuits from the company. After all, it seems that there is an increase into retro games that have certainly impressed for its time and that many possible stories were left behind as a result of the obscurity. There were tons of these kinds of video games on both Java and mobile phones, especially that have been pushed out of the spotlight due to the heavy obscurity around owning one of these flip phones that are longer sold in stores today. There were many ports to these systems that occurred over the decade that were often ignored and as a result, very little footage actually exist on the internet. One of the games that will be discussing today is Pac-Man franchise with one of their odd spin-offs, Pacman Bowling. Pac-Man is a cultural icon that needs no introduction from myself. Ever since his debut created by Toru Iwatani who worked at Namco previously involved in their earlier creation, Gee Bee and Bomb Bee from the respective year of 1978 and 1979, Pacman has penetrated the international media heavily with cartoons, video games, merchandise and represented the face of the company. Over the years, Pacman has had spin-offs starting with Ms. Pacman and Junior Pacman in arcades and even a sequel on the Super Nintendo/Sega Genesis with Pacman 2: The New Adventure. That game was more in line with Sierra’s PC point-and-click adventures games, where the player drags the cursor to interact with certain environments to trigger the next scene. Pacman would react to certain scenarios depending on the action of the player’s decisions, such as knocking down on trash cans and eating the power pellet to eliminate obstacles. His most critically acclaimed and most known series was the Pac-Man World trilogy, which spanned three consoles generation starting in 2000 and were meant to honor the creation of Pacman’s 20th anniversary. The series revolves around heavily adventure platforming with some elements of collectathon that allow the gameplay to better streamline the cohesion of action with more accessible variety to the player’s goal, while using many aerial movement to traverse through the stages. Most of the stages are interconnected together in a series of platforming, swimming stages and boss battles that makes up a majority of the game where the player navigates through levels to reach the end of the goal. The second game also enables players to experience past arcade games as mini collectables of arcades games once you collected a certain amount of fruit collectables to unlock levels in Pac-Village to play Gamespy off the arcade versions. Keep in mind that mobiles phones refers to downloadable apps found on some stores on obscure cellphones that were released at the time. The official website initially supports VX6000, VX4400, VX4500, A530, A610,CDM8600, CDM8900, CDM9500, T720,T730, Sanyo 5300, 5400, 5500, 8100, 7200, Samsung A600 and A660 into the launch of the game of December 2004. Pac-Man Bowling is a bit of an oddity that many fans of the classic games will most likely think of the game could actually ever exist. But yes indeed, the game did actually exist and was even given a “hands-on” impression from GameSpot, which they claimed that the game has four players: Inky, Ms. Pacman, Junior Pacman and Pac-Man. It also seems for this type of game didn’t have much of story aside from Pacman trying to outdo Inky in their rivalry or something like any generic story. The game also offer two player support wirelessly between players, so you do have a chance to play multiplayer which is always a nice plus. I suppose that the game didn’t have much advertisement to really leverage the game into much publicity, since the game probably loss much of the interests from gaming press from the conception afterwards. The gameplay is self-explanatory with the basis of earning the most point of either a strike or a spare from the oncoming bowling ball. If the ball only hits either the left or right shaft, then the frame would consider open. Placed near the alleyway are obstacles or fruits that the player can either achieve special powers, such as Pac-Man using an RC car to ram into the pins if the player curve their throw correctly. Admittedly I’m not sure if there is anything that makes this game stands out from the rest of any bowling games considering the extreme rarity of this game, which makes finding much more information on this game more difficult considering that it was released on lost mobiles phones that are probably out of date as of this writing. Although the game is primitive by the evolution of bowling simulation today, the few gaming outlets were positive. One of the review that I found that surprisingly wasn’t even given a score was written by Levi Buchanan of IGN Entertainment who gave the game a mild positive overview of how the game managed to remain simplistic and accessible to play, while lamenting the difficulty of earning less than 180 points on a 10 pin alley. It is a bit odd considering that the game never deviates from the purpose of bowling, so I presume that perhaps he was not too accustomed to the control of a cellphone to play a screen with a resolution even lower than a grainy YouTube video. It seems that Levi was part of IGN for presumably around 5 years considering that it seems that he would later work for Chillingo as Senior Marketing Director that was recently acquired by EA according to an interview with Mark of Classic Game Room. I still wonder what he still thinks of his earlier reviews of almost 15 years ago, would he still hold the same view of his work including some of the mobile games he reviewed all these years later? I would personally doubt it considering a decade later that everything would completely be ignored by the rise of smartphones gaming and the transformative industry today. Who knows? Maybe, he still remembers the game as crystal clear and perhaps send a copy if that will ever happen. It is also worth to note that there was another review of this game by a website called “Bonus Stage” that debuted in late 2005 to around 2009 before the company went out of business according to GameFAQs. The overall score for this game was a 9 out of 10, which would have mean that the reviewer would have certainly recommended to the consumer as a must have purchase, despite the popularity of consoles and PC markets dominating the industry. Attempts to read the review back in December 2005 through the Internet Wayback Machine ended with a disappointing dead link with no possible screenshot further unfortunately. It’s a shame that I can’t see anymore of the review, it certainly would have been a fascinating time capsule to see what opinions of the kinds of mobile games these reviewers had in their perspective. After all, I am a bit puzzled to know why the reviewers of the site thinks that this bowling game is somehow a must purchase for mobile games, which was somewhat considered More of a niche market to attract interest from consumers. Every so often, I come across a game that has certainly gotten the attraction of the public in a multitude of ways. Whether it is through the public’s backlash or any controversy that relates to sensitive issues, game developers do have to be wary of some of the biggest uphill battles that they faced in the industry today. Usually, there are a few ways to combat measures and that goes mostly for piracy. There are a few instances where a developer would take drastic action to curb graphic or copyrighted imagery that is not easily acceptable in modern society today. However, in the year of 1995, the internet was still in its early infancy. There was a much more limited bandwidth to upload your website, nor does it have the heavy social media that we now associate with society. Popular search engines, such as Google did not appear until later in the early 2000s when the distribution was larger online. Yahoo and Amazon were only recently created a year prior and live streaming services were almost nonexistence (unless you count Shareyourworld by Chris Norlin that appeared two years later). It is no wonder that some games were also sold on illegally made pirated consoles without the knowledge of Nintendo. Hong Kong 97 was probably one of the more fascinating game that has mystified the internet over the past two decades. There is a lot of ground that I need to cover about this game and its origins of this game, which I will try to explain both the history and how one person managed to circumvent the rigid policies of game distribution in the ’90s into an internet sensation. I will also try to show some of his work in hopes that finally, the game can be fully demystified and put some rumors to rest. By no means that the blog is the only definitive answer to solving this game considering I don’t own any of the magazines or an English translation available. If nothing else, at least I made an attempt to elaborate the game somewhat. Yoshihara “Kowloon” Kurosawa (pseudonyms Coulomb Kurosawa) was born in 1971. At an early age, he was heavily interested in video games by looking at Amiga Magazines and BBS software. He did also mention that he met a friend that will prove to be an important aspect of the creation of the game. According to a recent interview with South China Morning Post, Kowloon expressed his frustration with the video game industry set up by the likes of Nintendo and Sega, which makes working on indie developer much more difficult due to the circumstances of gaming policies in regards to distribution. The video game industry in the 1990s was difficult to enter the game market as an indie developer, and considering the more advanced lockout chip used for the Super Nintendo led to heavier curbing of piracy as shown with the battle of Tengen Rabbit Chip prior on the Nintendo Entertainment System that would culminate to the notorious litigation court battle of the unlicensed Tetris version on their built-in cartridges with Nintendo, where the court verdict of an investigation finally made Nintendo loosen their grip over control of third-party publisher rights. A multitude of poor decisions over strict game quotas of only three games per year, mixed with Nintendo actually owning much of the revenue earned from the cartridges and production cost created much of the fallout of third-party developers with Nintendo starting with the Nintendo 64. It was that frustration, which led Kowloon to create one of the most infamous games of the 1990s. By the way, one of his blogs tells much more of the game’s production in a magazine, Microcomputer Shonen Refresh Taikeiki (マイコン少年リフレッシュ台北). During his time in the Sham Shui Po Mall, he encountered a system that would change his life’s forever. What is that system you ask? Well, it was more of a back-up system that allowed to use save-states and encode cheats codes into the game, which allow for easier data transferring onto a floppy disc. The Professor SF by Bung Enterprise was the system allowed Kowloon and a few colleagues to work with limited development of the game. An employee from Enix was tasked to help Kowloon program the game within just two days and a Chinese translator to reword the language into Chinese. Kowloon has indeed mentioned that the music was actually sampled from laserdisc based on a piece of popular music called “I love Beijing Tiananmen”, which was used during the Cultural Revolutions in 1970. Many of the images were hastily added in a few hours from movies such as Wheels on Meals. Kowloon then publicizes the game on shady mail order of around 3000 Yens in hopes that it will attract profit from the garrulousness of the content. After sometimes, he seemed to forget about the existence of the game until the advent of the internet prompted the game back into the spotlight. There was also attempts to promote the game on another copy of this game with two advertisements. One of them shows the backup Super Famicom unit and another shows a curry shop, which presumably was the place to sell the game. The game starts out absurdly with an advertisement to sell floppy discs at the intro of the screen before being presented with three languages options: English, Chinese and Japanese. Once you choose the language greeted by stolen digitized images of Bruce Lee and Chinese leader Deng Xiaoping. The story then begins at the dystopian future of 1997, where Hong Kong was obliterated in a new wave of crime, leading to governor Chris Patton to send “Chin” represented by Bruce’s Lee to eliminate 1.2 billion communists of mainland China. However, there was a secret experiment to revive the head of a”Tong Shau Ping”. The story is obviously made in bad taste considering Kowloon’s political belief that he sometimes sell DVD cases containing some underlying tones of Nazism, which sometimes made me questioned if his interests are purely for historical reasons or some ego that he acquired over the years. The DVD titled “Mad Nazi” was licensed by Calcutta Records and it seems these DVD were making viewers feel extremely uncomfortable listening to this music according to the Japanese Wikipedia page. The game finally starts and the player is thrust into a randomly generated background (Chinese Coca Cola, Asia TV logo, one of the propaganda posters and an image of a background of a mountainous area). The player controls the protagonist shooting white projectiles at enemies, which will explode into a mushroom cloud upon contact, all while evading their attack of projectiles. If the player is hit, a graphic imagery appeared on the game over screen (NFSW). I’ll save the details and point to the date of either June 8th, 1992 or August 8th, 1992. The victim was not Leszek Blazynski, as he had severe depressions after the passing of his wife Anna and took his own life shortly after from the sudden tragedy. However, it seems he was actually honored by his son, Leszek Blazynski Jr. with a memorial in 2006 and his accomplishment of winning medals during in the Summer Olympics in the ’70s on some of the YouTube videos. I did find a possible source of where the game over screen that came from the forums that there is a missing 30 minutes VHS tape called “Lost City Yamaya”, which accordingly to one of the user, Kowloon was attacked in one of the ghettoes of San’ya by a mob, after an incident occurred. Japanese users have been searching for the availability of the tape since 2011. Figure 1 (Top): Footage of Torture Master (1990) and Rule The World (1990) ~T. Tanaka Lab and Camadamia Soft. Uploaded on September 22, 2008 by wataru sakurai on YouTube. Kowloon’s first video game actually started with the limited programming he had owning a PC-8801. Although the description doesn’t tell much about the game itself, there are a few tidbits that are worth mentioning. The game apparently made 170 000 yens (or around $1576 US dollars per copy) in total and was mainly sold at Comiket, a convention that sells anime and daijoushin products. Although information of Torture Master and his other games seems to have little information online with the exception of an archive list of PC-8801 games, I can infer judging by the gameplay footage that seems like these kind of games that were made to be satirical impersonation of famous foreign leaders into the height of the Cold War of the 1980’s. The semi-crudeness art style done by Kowloon’s limited programming in his computer shows that he was mainly interested into journalism more than developing games and that shows in his early days with some of his games showing varying degrees of differences in the amount of supposed graphic imagery to expressed what would become his secondary career as a journalist. There was also another title named Game Arashi Restoration (1988) that Kowloon was possibly involved in, although I am not sure if he willing to talk about his experience. Again, I am not sure if the translation itself remains the most credible source to define some of the language considering the state of the odd mystery behind it, so take this with a heavy grain of salt. The origin of this game’s popularity is somewhat difficult to pinpoint before the Angry Video Game Nerd, since Kowloon probably knew of the illegal circumstances that he was making by a game not authorized for publishing from its vulgar content on pirated hardware. It seems most likely that the game was presumably advertised in local underground magazines, such as Game Lab. Eventually, as the internet gradually expanded across the globe, possible sources of dumping emulation of games became much more feasible. Now, my memory are somewhat fuzzy, but I did recall reading that somewhere in 2004, the game appeared at a obscure Japanese site and the host wasn’t so disgusted that he actually apologized to the Chinese for some reason. I don’t remember the website name, so take that with a grain of salt. The earliest footage I can find dates back to February 27th, 2007 by enjime. The game really didn’t start taking off when in 2013 when YouTuber ColoniaContraAtaca published a collab video that seemingly has skits interspersed with video commentary in Spanish, which was at least the most viewed video clocking over 900K views. Fast forward to 2015, when I found a channel called Flippy. This was a channel mainly focused on miscellaneous topics about other past time events that occurred recently. His video of Hong Kong 97 actually preceded the AVGN video by about a week earlier, where he recaps many of the similar events that Kowloon would give in a later interview. Alongside his experience answer a game developer, he seems to work also as a journalist writing blogs and magazines about his experience in Southeast Asia, including his base in Phnom Penh, Cambodia. It ranges from his daily travel into seeing of everyday peoples, crimes and other events he found. He also hosts a Youtube channel about promoting his work online, such as the Kitabuyushi CD Series. It seems he quite enjoy his time spent in Cambodia, he was interviewed four months later by a blogger named Tabinote who mostly discussed with Kowloon about his time spent in the country. Some publications include Rompao and Six Samana for example. Figure 2(top): Commercial of Simple Series 2000:Volume 88. The Miniskirt Polices. Uploaded on February 23, 2011 by IGN on YouTube. According to the Japanese Wikipedia page, Kowloon actually made an officially developed game on PlayStation 2 called Simple Series 2000 Volume 88: The Miniskirt Police by Daft Inc. and D3 Publisher in 2005. For those that don’t know the Simple Series, they were originally established on the PlayStation 1 in the late 1990s from D3 Publisher and are budget released titles created by developers within a short development timespan (perhaps like 2 to 3 months). They appeared with the Simple moniker with the intended price tag of the yens (2000, 2500, DS and Wii etc). Most of the games that appeared in series were only exclusive to Japan, but the ones that are most successful did get a couple international release in Europe were most known was Earth Defense Forces and Oneecharan. Apparently, Kowloon’s involvement with the game is the role of Creative Director in the credits. The game stars the main protagonist, Momo Samejima, who is a secret agent working for an organization called “The Miniskirt Police”. Her main objective is to investigate a drug named Perorin from drug rings represented by gangsters in purple class that are attempting to locate her while trying to fend off bosses that seemingly will use everything in their power to end her life. During her time to find the drug, Momo can fend off enemies through the power of her melee attacks done by pressing the X button. Luckily, Momo has an assortment of aids that will greatly benefit the player to fend off attacks, such as handguns and grenades at her disposal, which deals greater damage to enemies then melee attacks. Along the way, you will face off against bosses, such as a wannabe Greyskull, a small, yet agile fashion designer and a crazed psychopath clown that are presumably affected by the drug that are out to get Momo. In all honesty, the trailer really tries really to promote the game as the next amazing experience through playing this game, which really shows when the narrator mention having different cosmetics costumes as one of the main selling points of a low budget game. Daft Incorporation, the developer who created this game started out with their game Super Back To The Future 2 for the Super Nintendo, before making a few obscure video games based on the K-1 Boxing on both the PlayStation 1 and Gameboy Advance. This game was their last developed game before the company disappearing entirely the industry altogether. Now I know D3 Publisher as the owner of the Simple Series (although they mainly outsource work to other developers such and Tamsoft) from one of their game, Family Party 30 Great Obstacles Games (THE Family Party) for the Wii U. This game is notable for only one reason: It is the second lowest rated video game on Metacritic with an abysmal score of 11, right after Big Rigs Over the Racing Road for PC. It is also the only Wii U game released as part of the Simple Series with no further volumes. Otherwise, I find their catalogs to also be filled with licensed games and other Simple Series games on other systems that will appeal only to the casual audience. While I was doing research on this game, I came across a little known gem that is somehow related to this topic called Taiwan 2001. The information of this game I gather from is from a website called LostWiki Media, which provides a great insight of many media lost from times and being given a second chance of preservation by dedicated archivists that has unearthed different title from across many eras in the 20th century. I recommend it, there are a lot that I could simply dedicate my time to blogging if I wasn’t that busy every day. Anyways, Taiwan 2001 is essentially an unofficial sequel to Hong Kong 97. You read that right. From what I read on the wiki, the game was released on PC as a freeware somewhere in 2001 meaning that game can be played for free without any “majikons” or backup-system with cost. Unlike Hong Kong 97, the game does not have a physical cartridge, ROM or even a download link that suggest the existence of the freeware. The developer, Kuso Soft (an obvious riff on Happysoft Ltd) even made a bold statement that their game was even worse than Happysoft’s effort. It could be possible that maybe someone could still be holding a possible source considering Kowloon’s acknowledgment on the website. The story is very similar to Hong Kong 97 in that instead of slaying 1.2 billion peoples in China, you need to “reform” them and the gameplay is similar to that game with the bomb command apparently activated at some point. 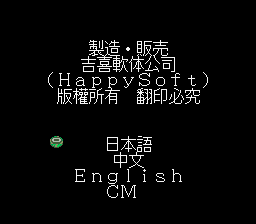 The three languages in the titles screen Cantonese, Mandarin and Hua replacing the English option making the game less viable to play outside the region. Hong Kong 97 is also said to be referred to as an “unscrupulous game” (不謹慎ゲーム) that was apparently used to make fangames based on real-life events through using either Adobe Flash or an internet bulletin board on personal computers. These are the types of games that are seemingly created as a provocative attack on extremely well-known incidents through Japan, such as the Tokyo sarin gas attack by the cult Aum Shrinkyo and a couple of scandals that dominated the country’s news. It also seems most likely that many of these games listed are created anonymously by those that probably didn’t want to be associated with any political association. At least that is what the translation from Google can best describe the situation. The credit also deserves a little mention considering how strange some of the sources try to paint more staffs involved in the game than the intended interview of around three people that Kowloon said with the interview a year before. Apparently, there was a credit listed to the Canadian embassy, Kowloon Kurosawa, Genom and SGI, which are supposedly part of the list, but I have yet to see any credible evidence to support this. It’s easy to rag on a game of Hong Kong 97 as a joke to enrage a certain group through marginalization in video games, which has unfortunately seeped into the industry with political arguments over controversies that have made debates on resolving issues murky. Yet, underneath the information lurking around the web is an interesting tale of how many indie developers that lack much of the authorization to publish games on official hardware and instead chose to tackle a different route no matter the cost. Aaaahh…. Yes. Mario Kart has become a global phenomenon in terms of multiplayer battles between friends from what it used to be. As once an alternative between the launch of F-Zero more frantic racing experience that involved more agile movement, Mode 7 was a technique to behold through using sprites to create scaling and rotation illusion 3D in a nutshell. There are a lot of reasons that makes the franchise enjoyable for nearly 30 years. One reason that makes the game enjoyable is the obvious multiplayer battles that have, for the most part, has been an integral part that solidified the core identity to this series. Now that being said, the single player mode also offers many replay values in terms of content, while adding new gimmicks to the level designs of the courses. Couple this with the excellent music and responsive control and you have a winning formula. Although, overtime, some of these flaws start to become apparent, such as the ridiculous AI rubber-banding with their blue shells if the player is in first place for a majority of the laps in Mario Kart Wii. Minor issues aside, the series is still going strong to this day with a port of Mario Kart 8 released for Nintendo Switch. The first game, Super Mario Kart released by Nintendo in 1992 was an instant with sales success reaching over 8 millions total sales worldwide. Eventually, the relative success of Super Mario Kart would lead into other Nintendo consoles getting their own game of Mario Kart (with the exception of the early Game Boy lines and the Virtual Boy). In terms of handheld games of Mario Kart, it is somewhat recent with many peoples referring to 2001’s Super Circuit on the Game Boy Advance as the first Mario Kart game on a handheld system. While I do agree that Super Circuit was the game that Nintendo debuted on a handheld officially developed and published by Nintendo, I actually found an extremely rare and often overlooked Mario Kart game of the series that predated that game by roughly eight years. It has not been re-released on another console and not even on a Nintendo product, but as a separate entity on its own. The game I am talking about is Super Mario Race. Okay, maybe I need to back myself up a bit here. You see, this oddity is less of an actual video game, but more akin to a Tiger Electronic handheld game, where there is little incentive of an objective to complete a mission. Instead of racing through the projected laps that must be completed in any other Mario Kart game, Super Mario Race takes the role of Mario driving in his Formula One car though what looks like a static background with a standard curving racetrack, and your goal is to simply last through the oncoming vehicles that are sporadically blocking Mario from earning more points. The player has direct control over the movement of the car moving side-to-side and to avoid any obstacles by using the D-pad and one of the minibutton on the right side of the watch for acceleration. Sometimes, when the player is unable to avoid the opponent, an icon of Mario blowing the whistle to indicate the player is hit before the game continues as usual. Each time Mario progress over one of the car, the player earns 10 points or more when the car are adjacent together. 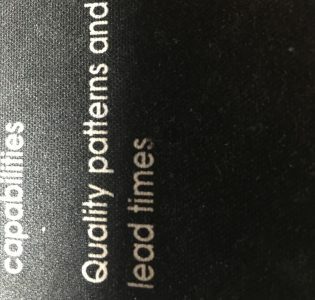 One of the first aspects that you will notice of this watch is the design. The facelift looks entirely a smaller version of the original Game Boy, like as if Nintendo were already created a Game Boy Classic without anyone realizing the popularity of the system in the coming years. The appearance also calls harkens back to the original model, which I find to be a nice touch. This design was also used for the even rarer Dr.Mario Game Watch (also from Mani Industries). As for the companies themselves, Mani Industries is difficult to find information in regards to their involvement with the game and some results consensus coming up empty for the most part. Nelsonic is somewhat difficult to find of their history status, although I found a Wikipedia article that describes much of roots tracing back to the 1980’s originally to create electronics watches of popular brands (Pac-Man, Ghostbusters etc). This also included smaller scales ports of established game franchises with four Super Mario Brothers (Super Mario World 4 is essentially a downscale of Super Mario World) and Donkey Kong Game Watches. After they supposedly defunct in 1999, most of the trademarks and rights were acquired by a company named M.Z Berger who still continues to use the name for more traditional watches with the Nelsonic brand. I also checked Polygon article that pointed to Nelsonic Space Attack as their first game, so it seems most likely that the company produce these wristwatch games in early 1980s. Super Mario Race is a very interesting case of high-profile games that has been seemingly lost in time considering the extreme rarity of these watches. Just a quick search on EBay will yield some heavy prices in the hundreds, which includes shipping cost as well. It doesn’t come at any surprise that Super Mario Race was all but forgotten in the history of Mario games, which isn’t a surprise coming from high prices listed and obscurity that prevents many people experiencing these games. There are also no emulators or ROMs that could possibly preserve physical game watches that also further limits people coming to gather the product. Source (Top): Super Mario Race footage by Sly DC. Uploaded on November 20th, 2015 on YouTube. Comparing Super Mario Race to other Mario games seems unfair considering the limitations of a Game Watch to a sophisticated game console that requires every component to work together to input video. At the end of the day, Super Mario Race can be a fun distraction on its own merit, assuming that you are not expecting much of the game’s content. Remember that games of these kinds have existed awhile back with Tiger Electronics as an example that sells products through with similar hardware of artwork pre-lit by the screen. Sometimes the result doesn’t work as intended, as seen with the R-Zone that kinda took too much inspiration from Nintendo in an attempt to branch out. Other times, the game did not have any promotional advertisement or form of any media to sell the product, which was the latter fate of this game. So is Super Mario the first ever Mario Kart game to appear on a handheld at all? Well, that is debatable as many of the animation in these primitive devices were simplified to accommodate the LCD or LED lights to give the illusion that the player is controlling the protagonist, when it is just a series of artwork lit up from the internal hardware. On the other hand, I find the idea of a Mario Kart game on such a tiny devices that is literally the size of a glass len is quite fascinating. After all, I do feel there are tons of games that don’t get much recognition on the internet, despite many gaming historians doing their best to preserve physical media that is rapidly vanishing in this era of digital technology. It is also interesting to find out how much game companies were willing to take risks into these game watches in the 1990’s and how they fare today with many changes in the game industry nowadays. It’s just a shame that some games are now at risk of being lost forever if little recognition is giving considering how fast time passes. I am hoping that this game could someday be given a digital ROM and posted online, although this depends on the amount of interests in this game. So…this is WordPress. I figured that this might be a good start to see where this blog might go. Anyways, as of March 26 2019, I will try to find games that not many peoples will think existed or occurred in their mind at all. Whether this could be software or hardware. I will try to expand the horizon a bit every so often to see if there are any video games that could be interesting to look at their development and the history.